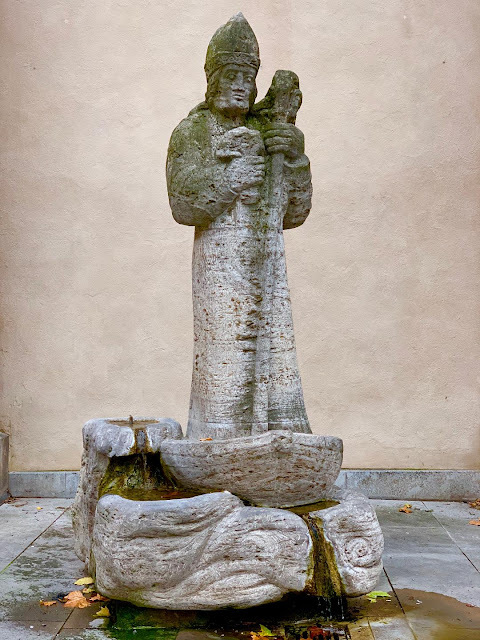 A statue of St. Kilian in Würzburg, Germany. St. Kilian was an Irish missionary bishop and the Apostle of Franconia. He's also one of the patron saints for those who suffer from rheumatism.